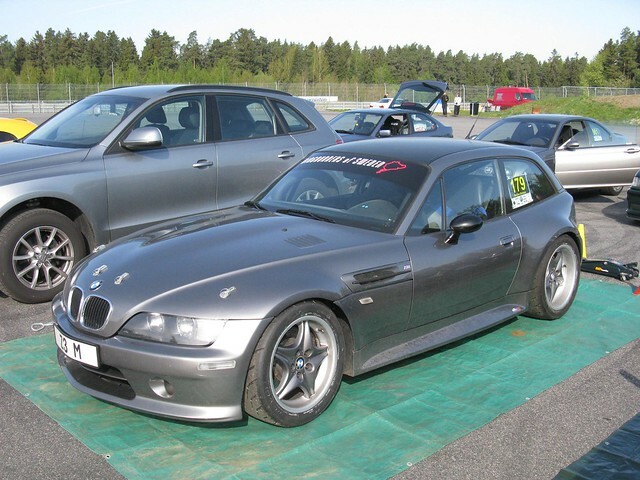 I can add some info about this car as it’s owned by a friend of mine here in Sweden. No, it’s not an original Steel Gray car. It was resprayed by the previous owner, came in Dakar yellow from the factory (the car is also on this site in the original colour), who also fitted a carbon roof and the Aero front and side skirts. 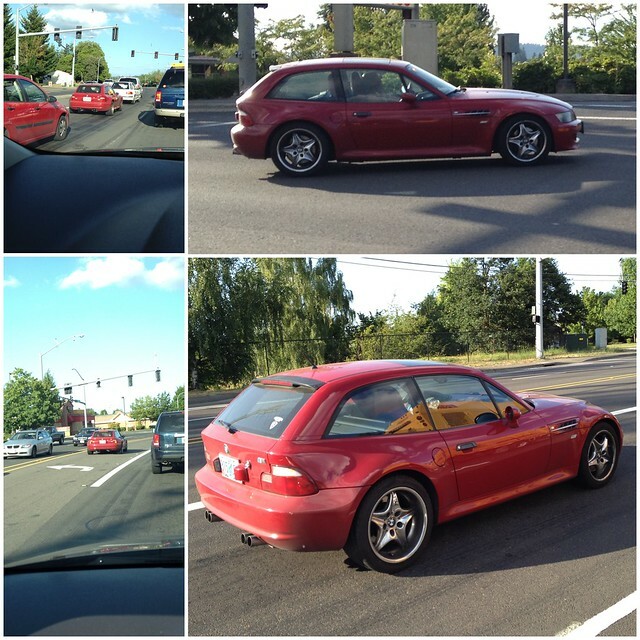 Under the hood this Z3M has a tweeked S50B32 with aftermarket headers and custom built exhaust. The hood itself is actually also carbonfibre and the suspension is from KW. As the owner primarily, almost only, uses the car for trackdays a six point cage is fitted along with Recaro seats and six point harneses.